“Ask not for a dual-core gadget, ask what dual-core can do for you” is the way we would rephrase Kennedy's famous saying. Should we feel left in the dust next time someone flaunts their extra CPU core in our face, like in the case of the iPhone 4S, or can we live a long happy life with a single-core gadget, like the iPhone 4? We'll try to answer that question now that the first dual-core smartphones and tablets are lined up on the retail shelves, next to The Flash superhero comics. We won't bother you with the technical details behind dual-core chipsets, we've written a separate article on that, if you want to know more. We'd rather point out that in this very moment you can get as much slick user interface and apps, high-definition video recording, and fast browsing from a WP7 handset, for example, with its two-year old single core 65nm processor, as from the first dual-core phones, whose chipsets are produced with the 45nm ARM Cortex-A9 design. The typical user wouldn’t even notice that their brand new WP7 phone is sporting 2009 tech, since the platform is optimized for this exact CPU, and because of that, it runs faster and smoother than even some Android overlays powered by two Cortex-A9 cores. Not to mention how oily iOS and adjacent apps move on the iPhone 4, for instance, whose silicon is circa 2010. To quote James Bruce, the lead mobile strategist of ARM: "Badly designed software will overcome quality hardware", and we couldn’t agree more. Only when the mobile operating systems and their applications are designed for multiple cores are we to see tangible benefits in the UI and app performance. So why are these guys waving their chipsets at us? For now, the two visible advantages of having a dual-core CPU in your phone or tablet – Full HD 1080p video recording, and faster webpage rendering - are not on the top of everyone's list when choosing a phone, but they do hint at the possibilities that multicore chipsets are enabling. Being able to shoot detailed video in 1080p does seem like the next step in the cell phone imaging evolution, however, especially when looking at handsets like the Samsung Galaxy S II and HTC Sensation 4G, which are capable of recording smooth 30fps 1080p video. Not to mention the 3D stereoscopic capturing that dual-core makes possible on handsets like the LG Optimus 3D, or the HTC EVO 3D. Dual-core phones keep rendering the page with one core, while the other is executing a script, speeding pageloading and overall performance times significantly. ARM-based chipsets are also capable of what Intel calls HUGI (Hurry Up and Get Idle), boosting the cores when something needs to be executed quickly, then efficiently throttling down speed to preserve power. Moreover, we can rest the case with Adobe Flash and performance with the dual-core chipsets – if decently coded, one can browse most heavily Flash-ed pages without a hiccup, making Apple all the more stubborn not to include support for it in its mobile browser. We can turn it off in Android, but with any dual-core phone you never need to. All in all, the browsing experience itself is worth getting a dual-core phone. And now we come to the Achilles heel of dual-core phones and tablets – software support. The multicore optimization of Android Honeycomb will come to phones with Android Ice Cream Sandwich later this year, and Apple will have measures for taking true advantage of the A5 chipset in iOS. Apps, however, that are written from the ground-up for dual-core mobile chipsets, are few and far between - you probably have enough fingers on you to count them all both for Android, and iOS. As you can guess, they are mostly games, where CPU/GPU power matters most. 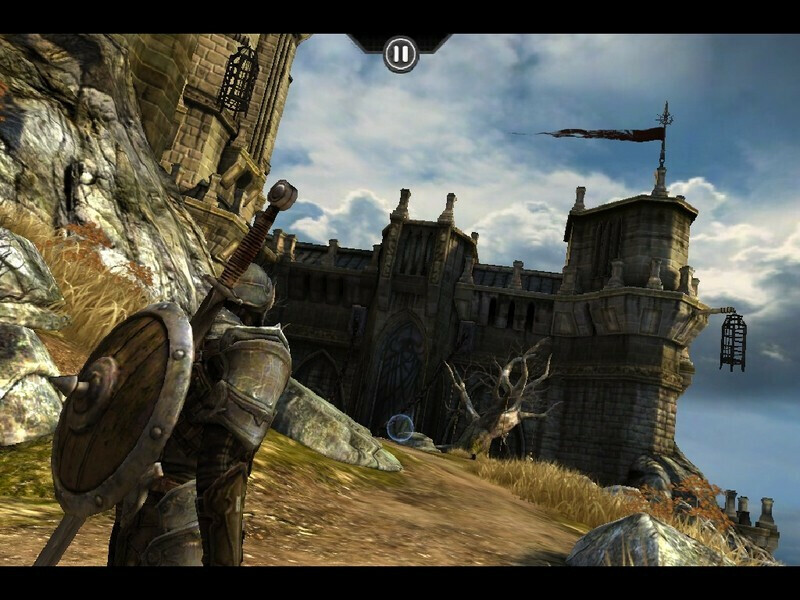 Great Battles Medieval has become the poster child when it comes to demoing how two or more cores are better than one on Android. 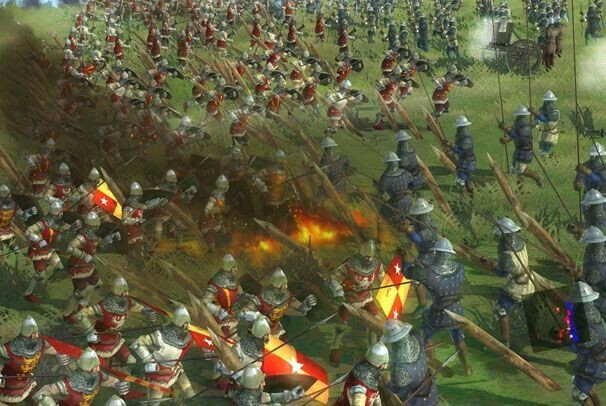 As a real-time strategy game, it allows for hundreds of beautifully-rendered warriors to enter battle at once on your screen, complexity that would be impossible on single-core chipsets. 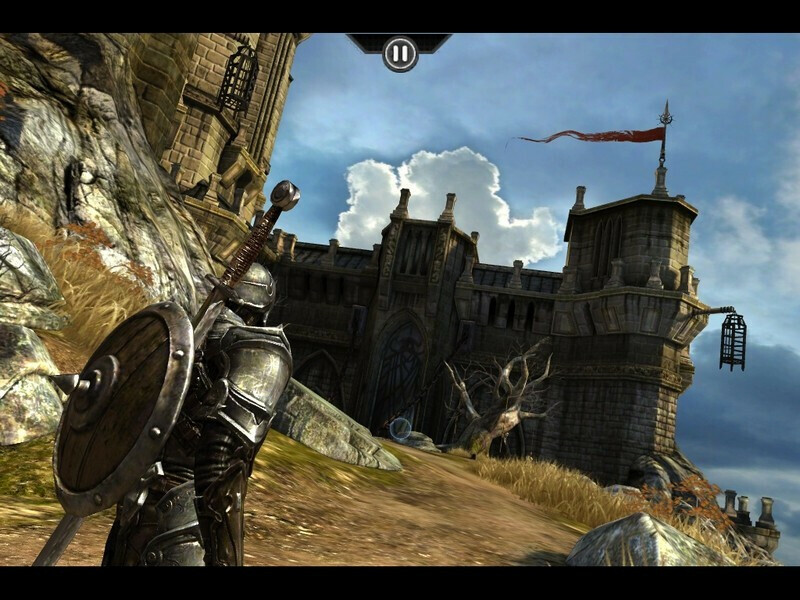 Apple dedicated a special attention at its iPhone 4S presentation to Infinity Blade's sequel, Infinity Blade 2, which is about to hit the App Store December 1, and said it has "visuals you've never seen on a mobile device". 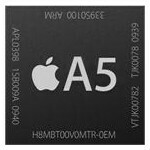 Hopefully it is a harbinger of things to come for the iPhone 4S and future multicore iPhones. As for battery life, contrary to urban myths, we aren’t observing degraded metrics. Android phones with suboptimal power management barely make the workday even with single-core chipsets. Phones with well thought-out power management perform better than average, dual-core might and all. The Samsung Galaxy S II allowed us 62 hours between recharges with normal usage, running the often chastised in that respect Android, and that’s without the recent firmware update. Apple also cites battery life on the iPhone 4S that is the same as on the iPhone 4, despite the A5 monster inside, so the juicing shouldn't be a cause for concern. Coming back to our imaginary friend waving their dual-core gadget in our face – do they have bragging rights? Yes, be it only for the gain in browser performance and the Full HD video capture. Is dual-core a staple necessity? Not until more quality software gets developed with multicore in mind from the onset. What do you think, will Apple manage to squeeze the maximum out of its dual-core A5 on the iPhone 4S better than Android in terms of software to take advantage of it? Apps make the smartphone so I'll wait for the true dual core beast. I think it'll take a year more for that. Till then I don't mind using a FroYo based single core device. intel? you mean Nvidia. 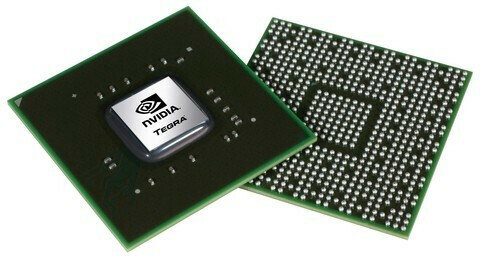 The Kal El is the quad core revision of the tegra2. i guess they will call it a tegra4? lol. right behind that will be sammy with the exynos quad core next year probably. If your always waiting for the next great thing, you will always be waiting as its always changing. Just grab what is great at the time you need a new phone and dont worry about 3 months from now. Excellently said. I really enjoy playing around with WP devices and they are using W7 Mango, at a time when W8 is being teased. I really like the Titan and the Focus, but now they are teasing a fantastic looking Nokia. I could wait forever. And if My families best interests is going to Verizon, where the one WP they have is not for me, do I make everyone wait? Just look at the options, do your homework, and grab a great phone. Sure, in two or four months something really cool will come. But that doesn't make your choice bad. We are supposed to enjoy these things. So, enjoy em. I admit Siri is amazingly amazing. But the iPhone 4S isn't the best, lets face it. However I believe it's camera will be excellent too. The survey answers are designed so that the third answer is the only one you are to pick: "I might look into getting a dual-core device when developers finally get it together, and release swarms of multicore-optimized apps." The first two answers are designed to make you sound like an idiot if you pick them. PA, stop doing surveys when you don't want to hear the answers. Definitely wanting a dual-core. I'm an android addict and a gamer, who also uses their phone for (SHOCK! )basic phone functions, so everything about dual-core, the battery life especially, appeals heavily to me. The Galaxy S2 has me drooling, but I'll probably go for the EVO 3D since it's the only dual-core on Sprint within my time window for jumping ship from T-Mo. Galaxy s2 has a battery life issue. even with root n stuff. and i also noticed processor heating problem on heavy gaming. I came from an overclocked desire z and i noticed a good difference moving up to my atrix. Then, i sold the atrix and moved up to an sgs2 and the difference is immense. Well worth it. The phone simply does not slowdown...EVER. I can care less about apps; browsing, calling, video, and photography define my phone use. Probably u just keep ur phone in the show case???? Until cell phones can record with the same HD quality as some of the actual digital cameras out there, I'll be just fine with the 720p on my Evo Shift. I tend to keep my phones a while so I'll be looking to a dual core phone as my next purchase. My reasoning is that over the next couple years the apps to take advantage of the hardware will follow with more widespread adoption of said hardware. It does tend to go both ways but generally the software available will use up whatever resources you can throw at it, at least eventually. Dual core on Android powered phones makes sense as the next upgrade past Gingerbread will be optimized for dual core. I wouldn't worry about "falling behind" if you are interested in Windows powered devices, Blackberry 1.2 single core, the Pre3 WeBOS 1.4, or (gasp) the next iPhone offering- they will be optimized for those processors. Actually, there are some really good single core Android devices (infuse, Inspire, T-Bolt) which will be real nicely priced in a few months and still give great speeds- just not premium upgrade possabilities over two years. If you have Gingerbread, isn't it dual-core 'aware'? it knows its there, but unless scripts are actually written to take advantage of the dual core chip, it will operate on a single core.